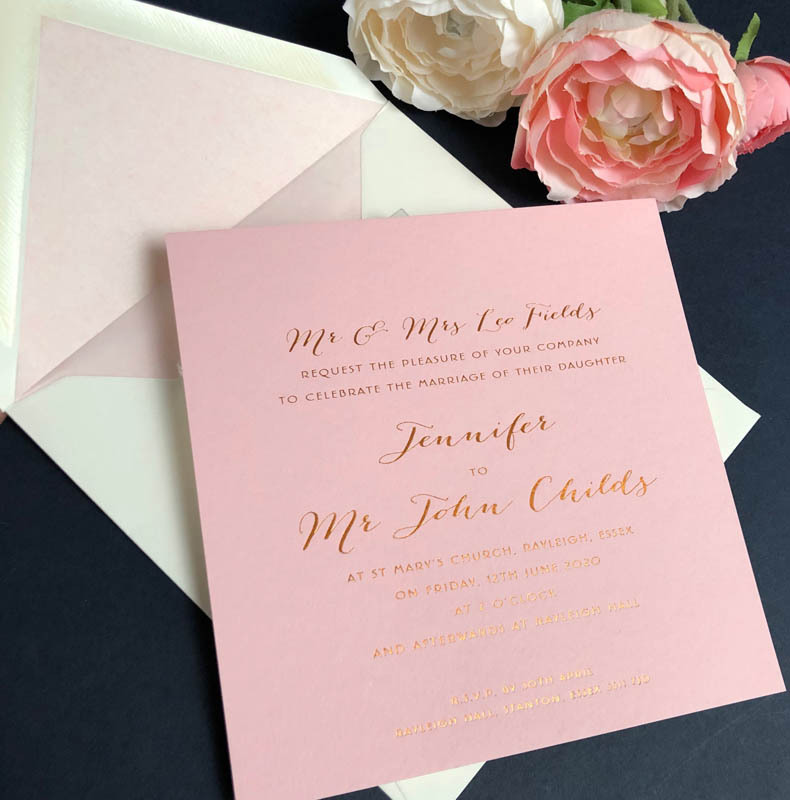 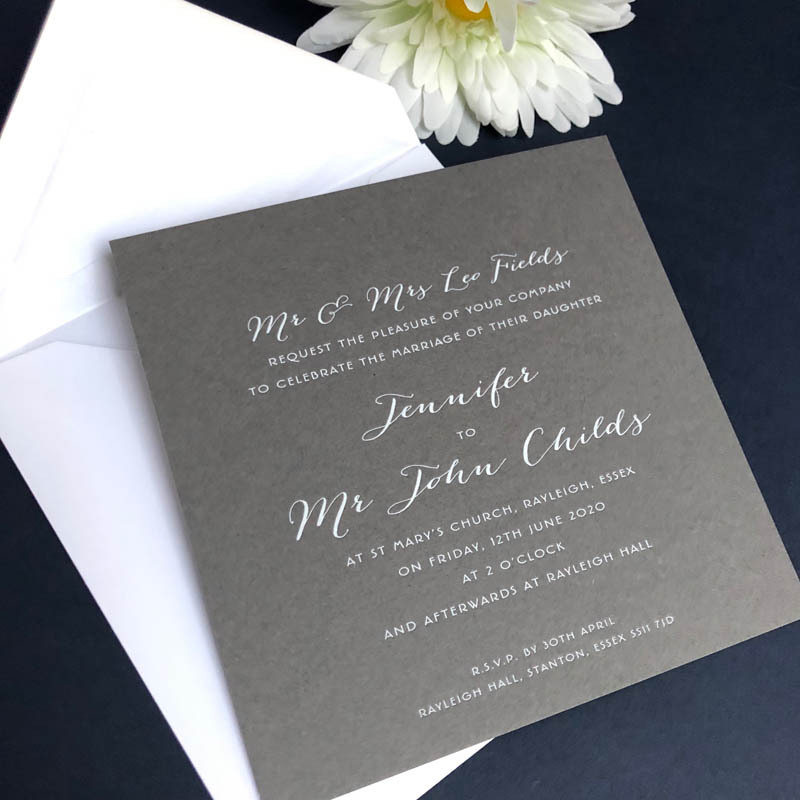 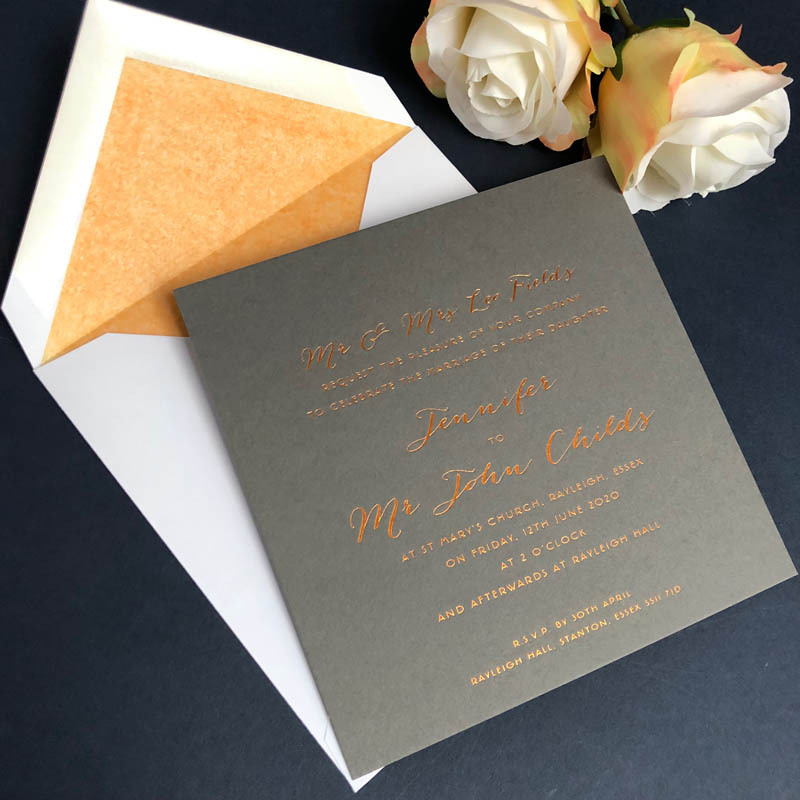 Our Jennifer Wedding Invitation: a new beautiful square design for 2019. 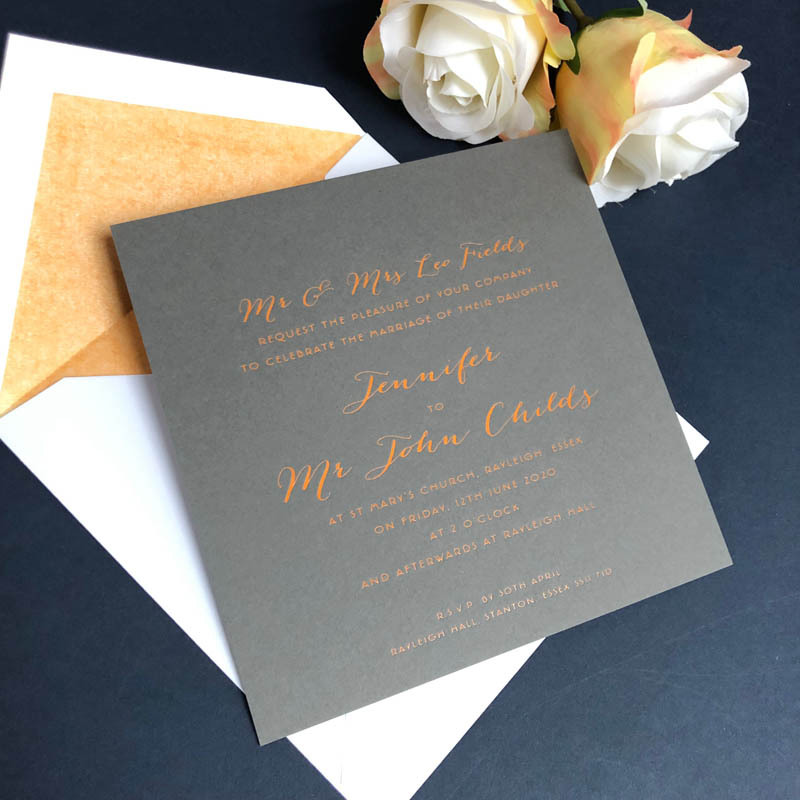 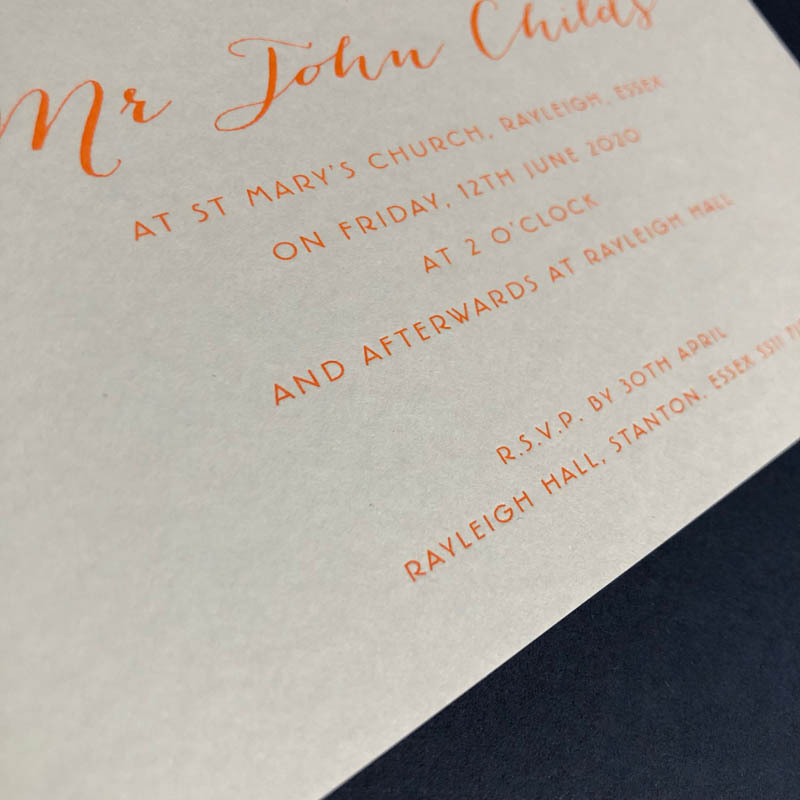 Using two contrasting typefaces which continues to be very on trend, this is a gorgeous, eye-catching invitation. 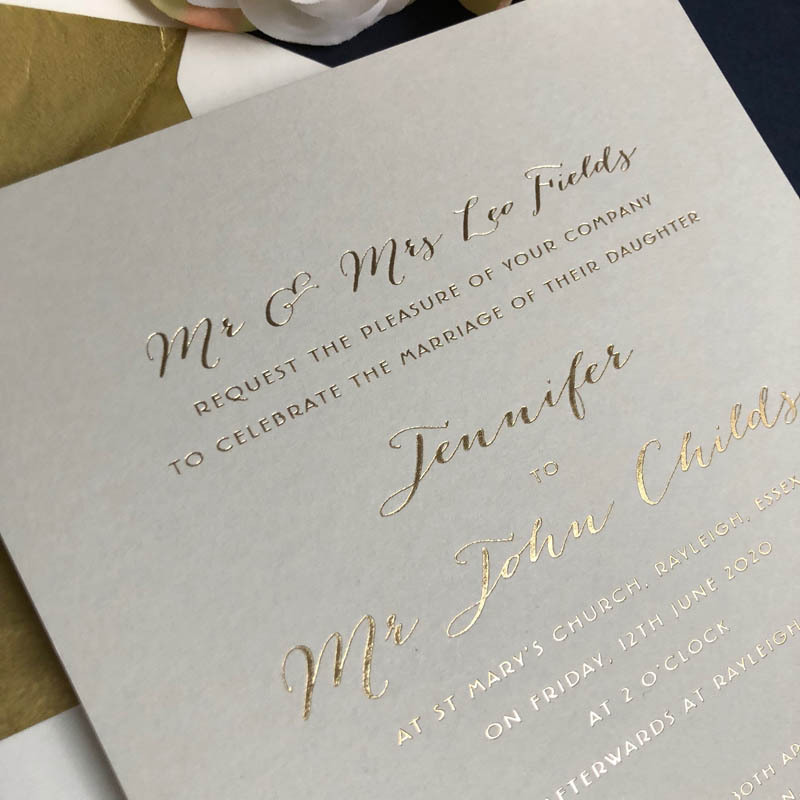 Create your unique invitation by combining the card and foil of your choice. 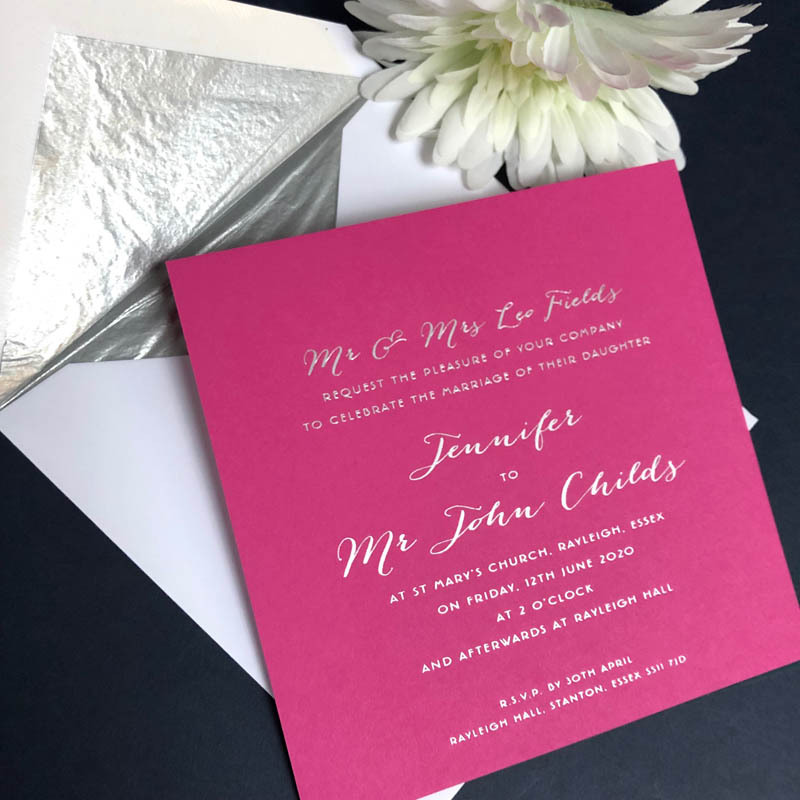 There are several options of luxurious card colour to choose from: Candy Pink, Fuchsia Pink, Pale Grey, Dark Grey and Pistachio. 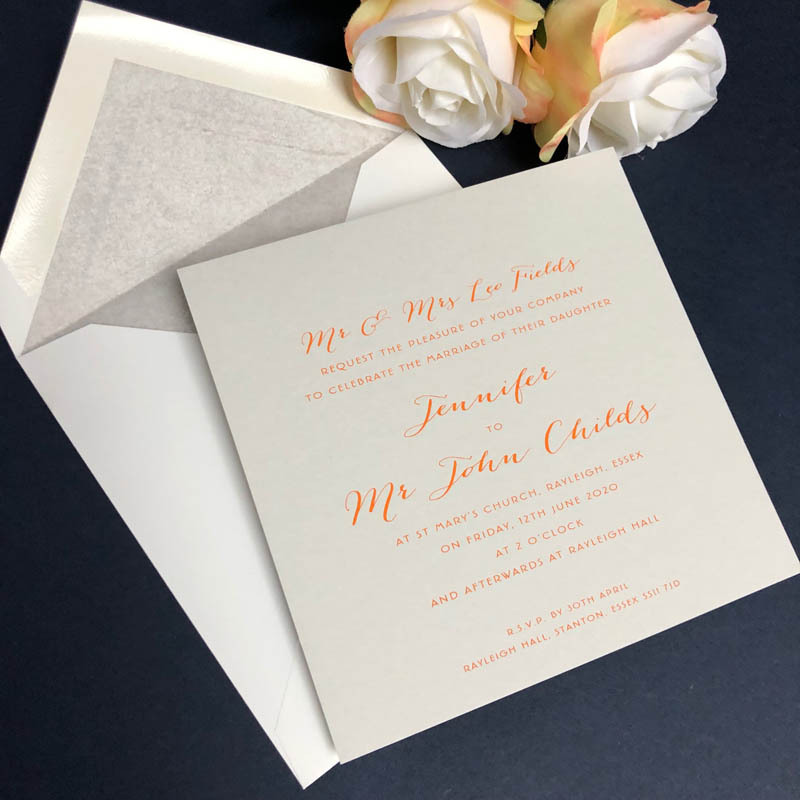 Choose between white or ivory envelopes (which are included) and for an extra luxurious touch, you can tissue-line the envelopes too. 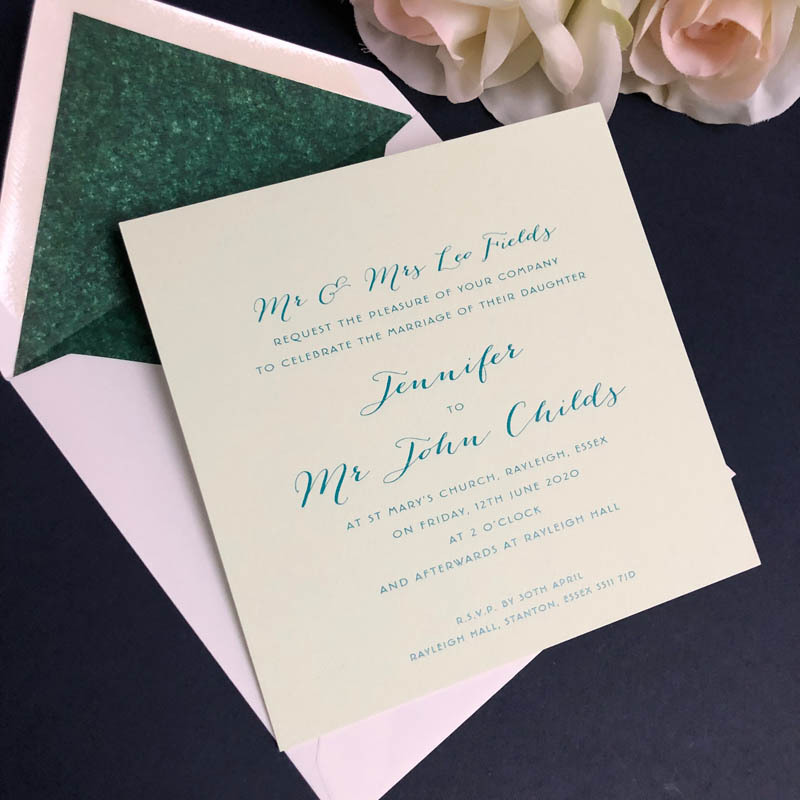 Quantity 405060708090100110120130140150160170180190200210220230240250 Please consider the number of invitations you have ordered. 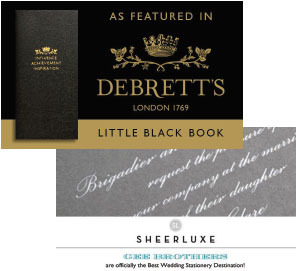 It is more cost-effective to order a few extras now, than re-order at a later date for the few likely to be required. 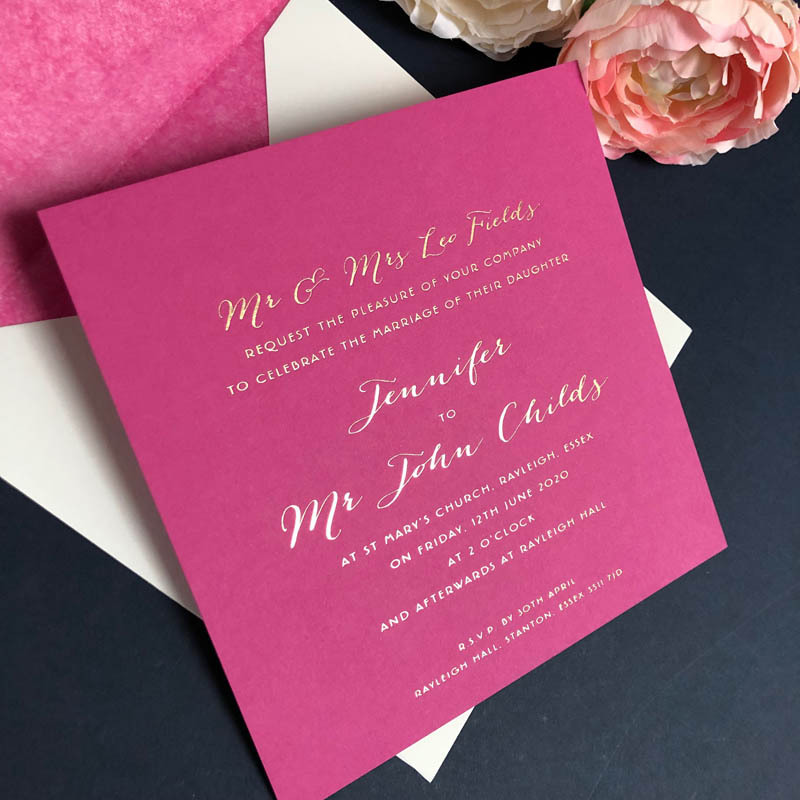 In our experience, most couples benefit from having some extra invitations.